The MDP2DVIS Mini DisplayPort to DVI Active Adapter (single-link) let's you connect your Mini DisplayPort video source (such as any of your MacBook® or Microsoft® Surface™ Pro devices with mDP) to a DVI-D display, including televisions and Apple Cinema Display HD, eliminating the expense of having to upgrade to a DisplayPort capable monitor. 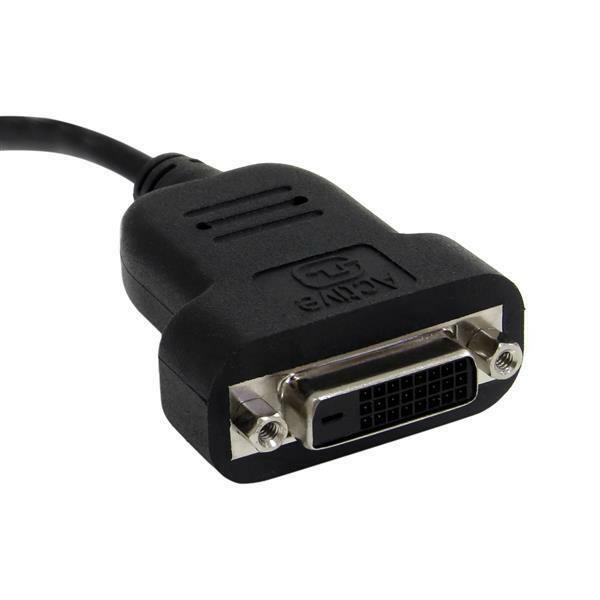 Supporting resolutions up to 1920x1200, this compact device provides a simple solution for adapting PC or Mac® Mini-DisplayPort output for DVI monitors, televisions or projectors. 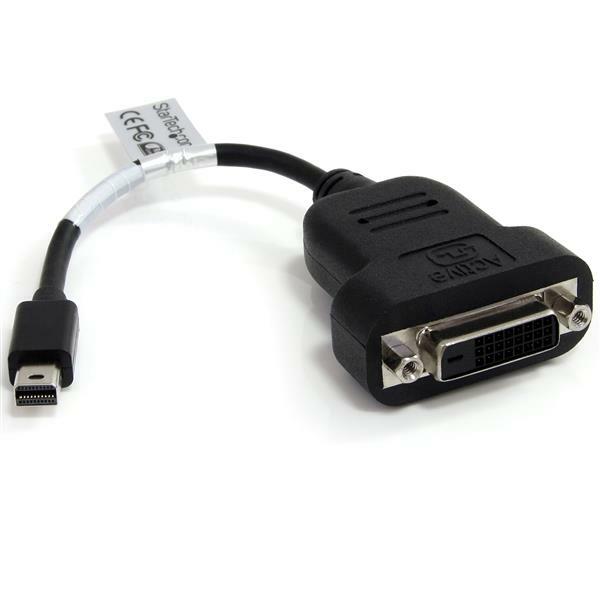 The Mini DP to DVI adapter is compatible with Intel® Thunderbolt™, when connected directly to a supporting DisplayPort over Thunderbolt™ I/O port. I got this and tested with an old monitor and it was easy to setup and use. We had no problems at all and the product was self-explanatory I received this product in exchange for an unbiased review. The adapter works fine and the cable is very sturdy at the bend points. We needed an adapter to hook up devices with the mini display port to our older projector in the boardroom to do presentations and such. This cable let us do exactly that. The picture looked crisp and clear. The adapter was well made and looks like it will withstand many bends and crimps. I received this product in exchange for an unbiased review. My company buys a lot of these and it seems like for every 15 we test, at least 3 of them are defective.....wish that they had a better quality control for these. Worked perfect. My Surface Pro 4 couldn't run two monitors with regular adapters. The active adapters fixed it. All works now. (1 star) Not what you are looking for! it is not ACTIVE! 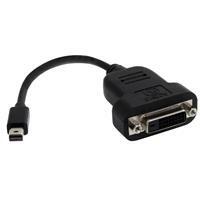 I bought this adapter because I needed my laptop to display 144Hz at my 144Hz monitor. I needed an active adapter for that, and this product claims to be an ACTIVE adapter. However, it isn't supporting anything over 60Hz. My laptop has the configuration required to boost 144Hz and that I know for sure, but this adapter is not what its description claims. Do not get it! Hello, Thanks for sharing. We hope we can offer some clarification. This adapter is indeed active, however, being active does not automatically enable is to operate at refresh rates up to 144Hz. 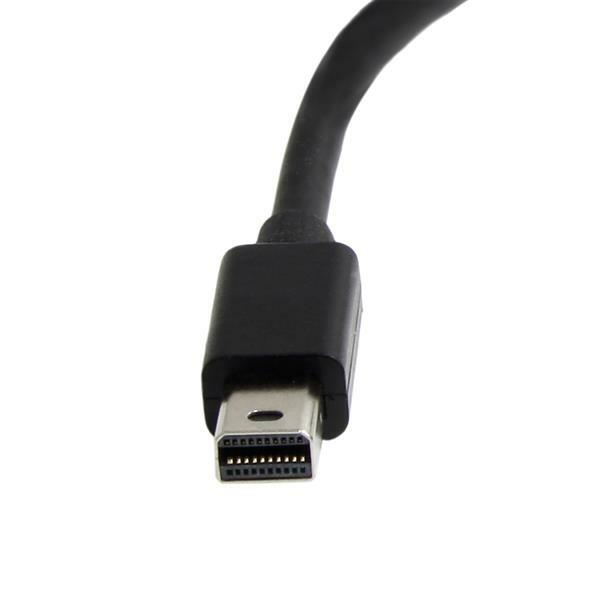 The core difference between an active and passive DP/mDP adapter is that active adapters contain a chip that takes care of converting the signal to a legacy connection (DVI). A passive adapter requires a video card with DP++ functionality. DP++ performs the conversion on the video card before connecting to the adapter and legacy connection (DVI). We confirmed the limit of the MDP2DVIS adapter. The maximum resolution supported is 1920x1200 at 60Hz. We will be sure to add that to our website to avoid future confusion. We hope this has been helpful, please feel free to reach out to our Technical Advisors for further support by clicking the "Support" tab at the top of our website. Thank you.